Piezography has been around for decades and we have been calibrating it for all the papers that have come and gone for decades. As papers change their names, or change their surface coatings, it doesn’t always mean that we have the time to change the curves that go with those new papers! There are nearly a thousand curves to keep track of because we support 5 generations of printers and 5 generations of papers. This page has a list of “Piezography Level” supported papers that we are dedicated to building new Piezography curves for as of summer 2016. Piezography Pro lets you linearize any Piezography ink for any Paper. Check it out. Paper Notes: Baryta surface, semi-gloss but the least amount of gloss possible, warm-white non-OBA, incredibly sharp dot. Takes a lot of ink! Very thick rigid paper. This paper is the perfect fine-art paper for traditional semi-gloss Piezography printing, bar none. Supported Piezography Ink Hues: All of them. Supported Piezography Ink Systems: All of them. Current Status: Not all Piezography curves for all Piezography systems for this paper have been updated as of 2016. While we have built a curve for this paper for all the ink systems listed above, any curve without the “2016” or later will not be a modern curve. This does not mean that the curve will not print exceptionally and perfectly. Print and see! Downloads: Get profiles (QuadtoneRIP Piezography Curves) by downloading the Piezography Community Edition for free right here. Paper Notes: Matte. Warm-white, Non-OBA, stiff rigid thick surface, very sharp dot (similar to the original Crane Portfolio Rag but smoother), this paper is specifically built for Piezography printing and is the most exceptional most archival paper for the process. It works equally well for color printing. Paper Notes: Matte, 100% Cotton, White with minimal amount of OBAs. This papers was at the beginning of the fine-art digital inkjet revolution. Piezography Neutral ink prints Neutral on this paper. Selenium has a rich blue/magenta to warm split. Carbon produces a luxurious brown. Special Edition makes a good neutral with a unique highlight color. Pro inks do what pro inks do. Paper Notes: Smooth, Thick, Matte, Bamboo fiber, Very Warm with zero OBAs. This paper is environmentally and ethically friendly. It is one of the warmest papers on the market and many consider it to be more archival than Hahnemuhle Photo Rag. The paper surface is truly exceptional and professional-grade. Paper Notes: Semi-Gloss, 100% Cotton, slight texture, Semi-white with minimal amount of OBAs. This paper is very durable and takes a decent amount of gloss ink without bronzing. The first Hahnemuhle Semigloss cotton paper. Paper Notes: white, silk gloss baryta paper with the same alpha cellulose base as Ilford Gold Fibre Silk, Ilford Multigrade IV and the rest. This paper is unique among the “silver emulation” papers as it has the least gloss. Beautiful paper that works just like Ilford Gold Fibre Silk but from a company that will never stop making it. Current Status: This is a very new paper. We have very good results with it on Pro. It doesn’t take the ink required for traditional Piezography printing as well as we would hope so we are currently supporting this on Pro until we can rebuild out master curves on the K6 and K7 Piezography systems. Paper Notes: Semi-glossy, semi-smooth, White, 100% cotton, similar to Photo Rag Pearl but slightly more textured and whiter and tougher. Paper Notes: Glossy, Smooth, Semi-white, 100% cotton + baryta, similar to Photo Rag Pearl but smooth, more glossy, slightly warmer. It has a tighter ink dot due to the baryta layer. Paper Notes: Glossy, semi-smooth, White, alpha cellulose + baryta, similar to Photo Rag Baryta but slightly more textures and whiter and tougher. It has a tight ink dot due to the baryta layer. Paper Notes: Matte-Textured, tight grain, 100% Cotton, mid-white, heavily and randomly textured by mould-made felting. One of the oldest papers Hahnemuhle has every created, this paper is very textured giving it a luxurious velvet look and feel. Beware. This paper can be difficult to print with and it can flake on the emulsion. Properly printed and properly retouched, the images and fine-art objects you can create on this paper are beyond comparison. Paper Notes: Matte-Textured, mid grain, 100% Cotton, mid-white, mould-made felting. German Etching has a less coarse feel compared to William Turner. The grain direction is slightly more mechanized in look but but this is surely a premium “old-world” paper. Paper Notes: Matte-Textured, loose grain, 100% Cotton, mid-white, mould-made felting. Museum Etching has a smooth wide grain and it’s a very thick 350gsm paper. The texture is less present than Torchon. It’s great for extremely large prints that require tough paper that will hold up to a lot of abuse. It doesn’t flake. Paper Notes: This is Epson’s flagship gloss paper and we use it in our R&D lab to test our new inks and see if they are up to the challenge! The paper is rather cheap and not the most archival but it will make a wonderful exhibition and with Piezography Pro inks it rivals all other objects in its price-class for true monochrome printing. Current Status: Piezography started as a matte-only system. It’s been a long progression to make it gloss-compatible. Piezography Pro inks are so much better on this paper that we are dedicating all of our time and energy on the Ultra Glossy front to these inks. Paper Notes: This is Epson’s “Ilford Multigrade.” It’s their base paper for all photo printing and is as durable as Battlestar Gallactica. This paper can take more ink than Epson Glossy and it’s nearly waterproof and “cockle” proof. It’s a great student work paper! Current Status: Piezography started as a matte-only system. It’s been a long progression to make it gloss-compatible. We’ll slowly begin to profile older generation Piezography K6 and K7 inks for this paper over the coming year(s). 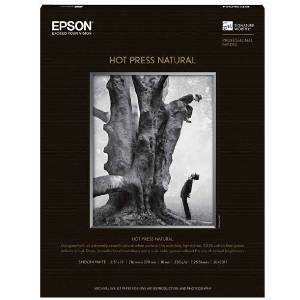 Paper Notes: The only archival paper that Epson makes that can be face mounted is SemiMatte. This paper has the least reflectance and the most smoothness of any Epson paper. Epson stopped making it for nearly a half decade and recently re-instroduced it to the market. The new paper is not exactly the same as the old but it’s good enough to profile! If you are looking to face mount a Piezography print, use this paper. Current Status: Pro inks will be the only face mount capable inks so we are currently only profiling Pro on this paper. Paper Notes: This is a very white, glossy, alpha-cellulose fibre paper meant to replicate silver fibre paper. It’s gone through its ups and downs over the years but we still love it. This is a workshop favorite so we keep it profiled on all the printer types. Paper Notes: Matte, Bright White, 100% Cotton, Smooth. This paper is exceptional. It has the darkest black of any matte papers besides its brother (Hot Press Natural) and it unseated Hahnemuhle Photo Rag from its roost a few years back. This paper is incredibly smooth with a slightly textured hand-feel. It’s a thick a luxurious experience indeed! Piezography Matte Black (Shade 1) ink gets a dMax of 1.76 on this paper. Paper Notes: Matte, Natural White, 100% Cotton, Smooth. This paper is exceptional. It has the darkest black of any matte papers and it unseated Hahnemuhle Photo Rag from its roost a few years back. This paper is incredibly smooth with a slightly textured hand-feel. It’s a thick a luxurious experience indeed! This paper has no OBAs. Piezography Matte Black (Shade 1) ink gets a dMax of 1.76 on this paper. Paper Notes: Matte, SMOOOOTH. 100% Cotton, White with pigmented surface and zero OBAs. This paper is a new generation of rag paper created by the legendary Canson paper mill in France. Paper Notes: Semi-Gloss, 100% Cotton, Natural white with pigmented surface and zero OBAs. This paper is created from the Arches Platine Platinum paper base and is then buffed several thousand times to create a pollution barrier. It’s then coated with a titanium-white pigment and semi-gloss emulsion. This paper has a natural texture and it’s very very very durable. Supported Piezography Ink Hues: Pro Warm, Pro Cool (all the rest of the Piezo hues will be supported soon). Paper Notes: Matte, 100% Cotton, White with pigmented surface and zero OBAs. This paper is extremely textured watercolor/etching paper with a totally random felting. This paper can be compared to the William Tuner but with wider valleys and peaks. The paper is white and has excellent ink retention. Paper Notes: Glossy, Alpha Cellulose, Semi-White with pigmented surface, baryta layer, and minimal OBAs. The paper base for CBP paper is the same as Ilford MultiGrade IV and it has better resolution and black depth with Piezography inks. We got such a good amount of dMax and dependability with Piezography Pro that we will support this paper with that ink going forward as a true replacement of traditional silver fibre printing. Current Status: This paper is very glossy. We have many curves built for it for P2 (K6), and K7 systems but mileage may very from printer to printer. We have been printing well on it for years and the prints are way better than “Advanced Black and White”, but the new Pro ink just blows everything else away. We are officially supporting this paper with Pro only even though there are older curves available for all the other Piezography inks. Print and see! Paper Notes: Matte, 100% Cotton, Natural white and zero OBAs. This paper is similar to Canson Edition Etching but with a warmer and more natural feel and texture. It does not have as much bite as other Canson papers but that is the whole point. It’s soft and alluring. Paper Notes: Matte, 100% Cotton, White with pigmented surface and zero OBAs. This paper is a true etching paper. It defines the texture of etching paper and also has one of the deepest black dMax values of any paper on the market. Paper Notes: Matte, 100% Cotton, White with pigmented surface and zero OBAs. Take Canson Edition Etching, cut its intensity down a notch, make it a bit smoother, and you get Velin Museum. It has a subtle texture and is great for portraiture. Supported Piezography Ink Hues: This paper is no longer widely available. Paper Notes: Matte, 100% Cotton, Natural Warm White. This paper is Moab’s main entry into the modern fine-art inkjet paper world more than a decade ago. It’s a wonderful paper and still going strong. It has the unique status of being double-sided by default and it never curves in a printer because of that. Great for book-making, teaching, or any other type of fine-art printmaking work. Paper Notes: Matte, 100% Cotton, Bright White. This paper is Moab’s next entry into the modern fine-art inkjet paper world after Natural, more than a decade ago. It’s a wonderful paper and still going strong. It has the unique status of being double-sided by default and it never curves in a printer because of that. Great for book-making, teaching, or any other type of fine-art printmaking work.